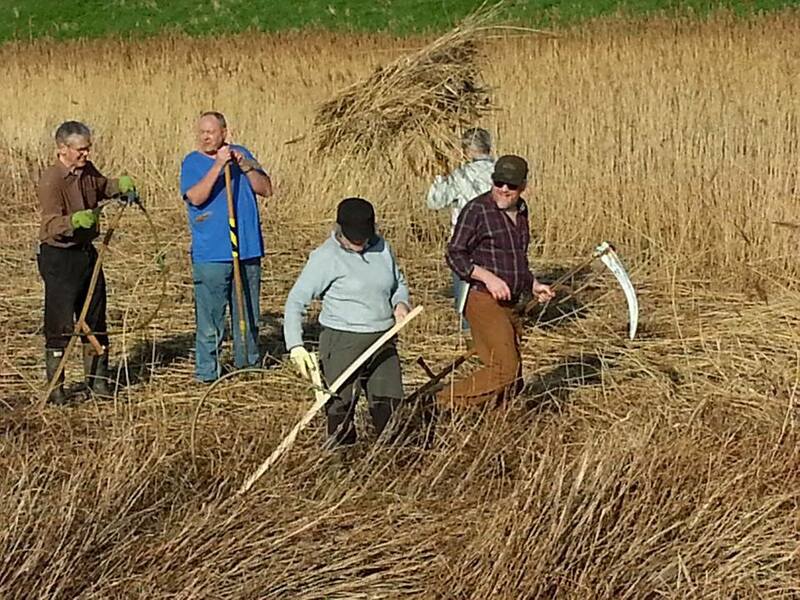 West country commercial reed harvesting with a scythe. 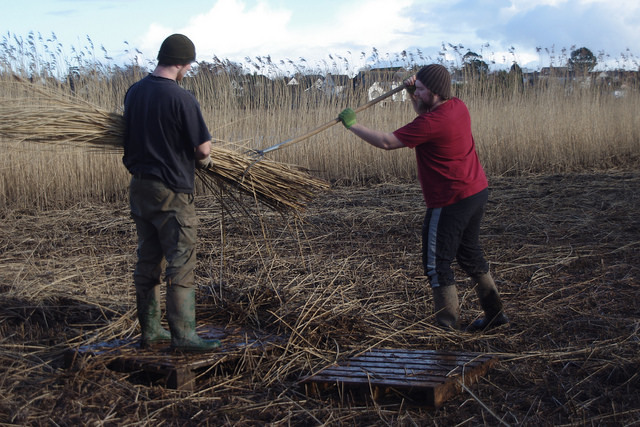 In January 2014 I was contracted to harvest reed from the bank of the river Exe near Topsham Lock, south of Exeter. 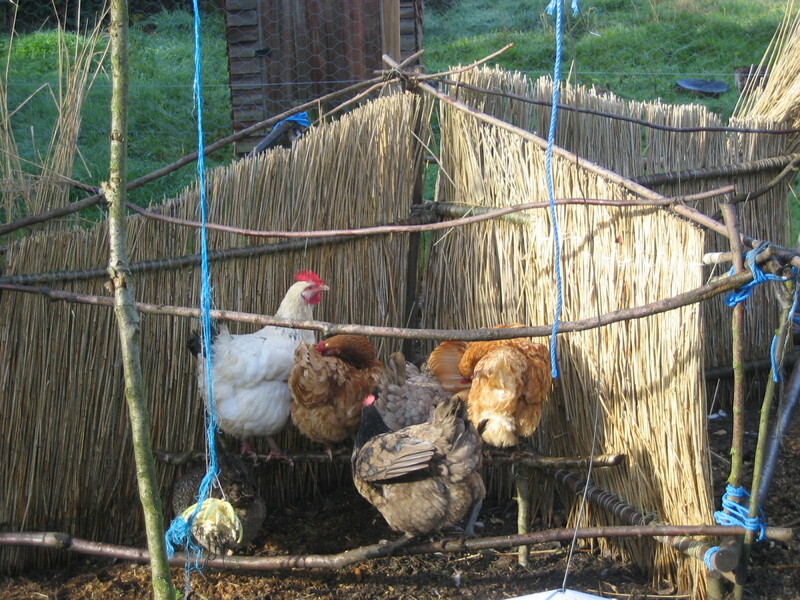 The intended use of the reed on a thatched roof meant that as much as possible of the material had to be gathered safely once cut with the scythe.The reasons for using a scythe were that the site was too remote to get machinery to it, and also that the scythe makes a nice clean cut of the stem, which is better for thatching. The reed was retained on the bow by a sharpened peg (or ‘pricker’ as it is called in Norfolk).As previously discovered, a good way of attaching this is by splitting the bow with a penknife. Once the peg is inserted the bow is securely lashed to stop it splitting further. This does weaken the bow, so it should be sufficiently strong in the first place. I found by accident that if the peg is fixed at a slight angle (ie pointing slightly away from the user) it can be adjusted by moving it through the joint. There should just be enough slack in the lashing to enable this. The peg can be adjusted so that it gathers all of the cut reed but does not strike any uncut stems. The peg was also adjusted in varying conditions. When the mowing got a little easier, a wider stroke and lower stance were adopted, and the peg needed to come out a little. Stephen Simpson visited the site on one day, to have a go with his wheat cradle. He found that cutting reed is completely different to wheat! The main difference is that despite the height of the reed crop, there is very little weight at the top. The weight of the corn at the top of wheat means that it falls over more easily when pushed by the bow. Reed (once all other things are going well!) often requires a tilt of the blade and a pause in the movement to allow the clutch of stems to fall to the left. With the tall reed stems (8 feet and more) there is a lot of scope for them getting held up at the top, with stray stems preventing a clean sweep. This is even before you encounter stands with a proportion of broken stems! This was the greatest issue in the whole process of harvesting the reed. The wind direction on the day sometimes exacerbated this. When gathering the reed was difficult, sometimes it paid to mow into the standing crop. I found that the best way to do this was to face perpendicular into the edge and mow in for a number of strokes, six or more, to open up a kind of scallop shape. This way some of the tangled stems stayed together. The accumulated bundle could then be manoeuvred out with the blade and bow, base out first then flipped over, or left for the gatherers to collect from a standing position. Two men following my work with the scythe. They gathered the cut reed into loose bundles. Broken stems and leaf litter was separated out, mainly by running a pitch fork through part-bundles before tying. 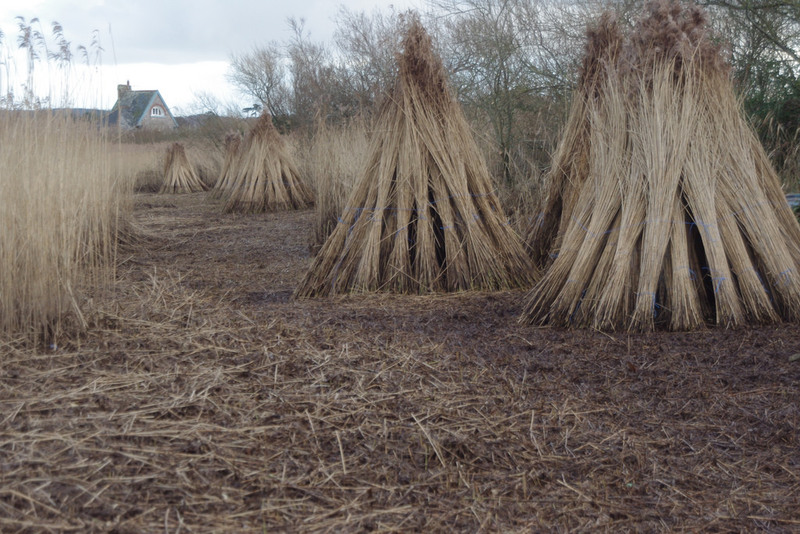 Stacked in ‘wig-wams’, the reed was left to dry before final ‘dressing’ and tightly bundling for use by a thatcher. 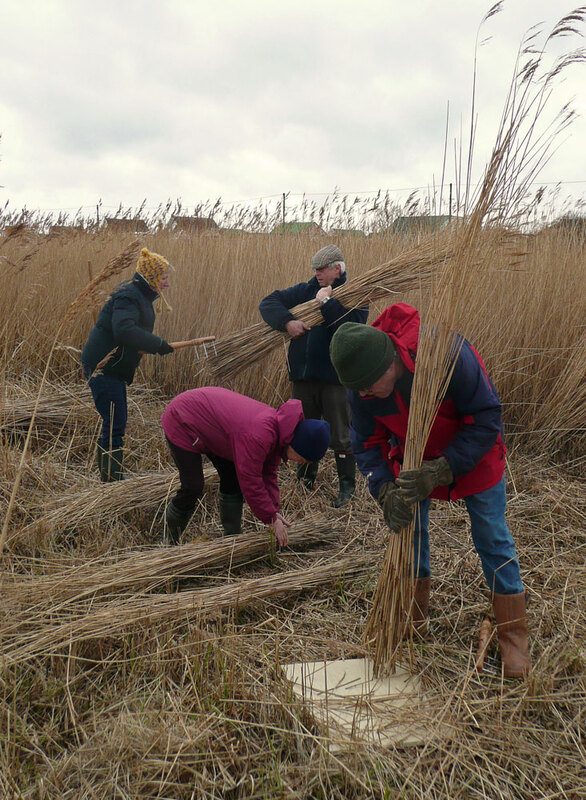 Over the first weekend of March members of the scythe association (SABI) came once again from around the country to Heacham on the North Norfolk coast to mow reed from sections of the Saltings local nature reserve. For the scythe enthusiasts it is an opportunity to get together each winter to have a go at this traditional form of wetland management. For the reserve it means that we can get some targeted small areas managed which a contractors machine could not reach. 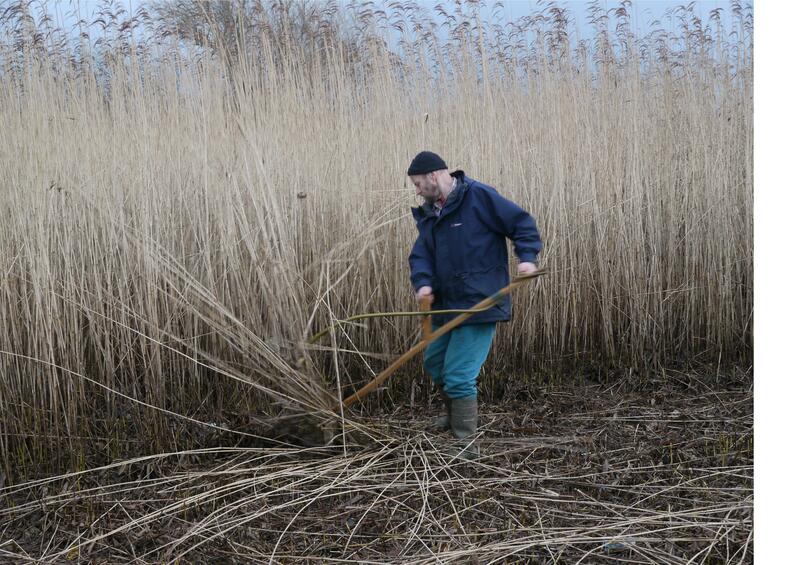 Mainly we cut sections of the 11 acre coastal reedbed on a 5-7 year rotation for wildlife habitat. 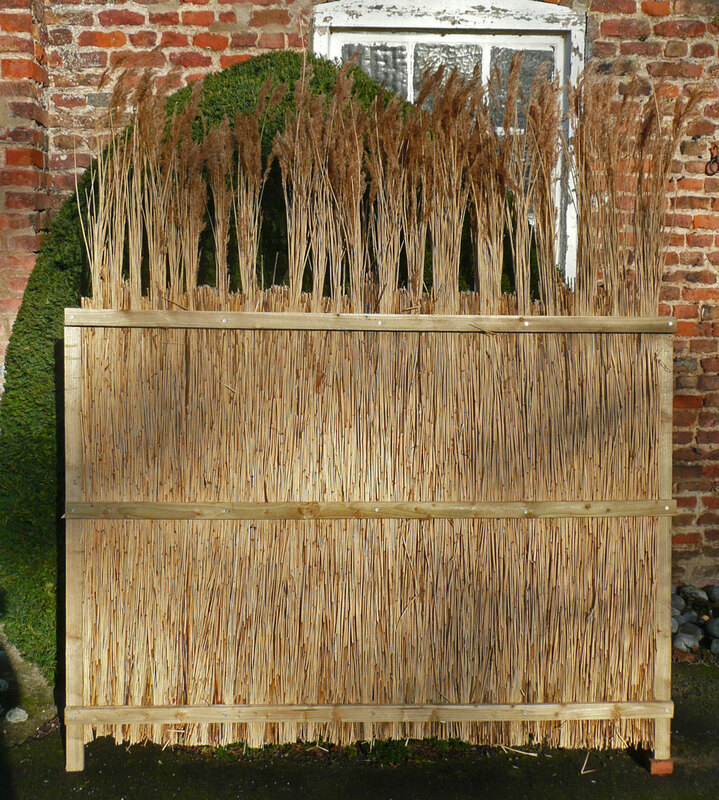 There are however some areas which we have cut on short rotation and these have yielded modest quantities of better quality reed suitable for small projects such as making reed panel screens and fencing. 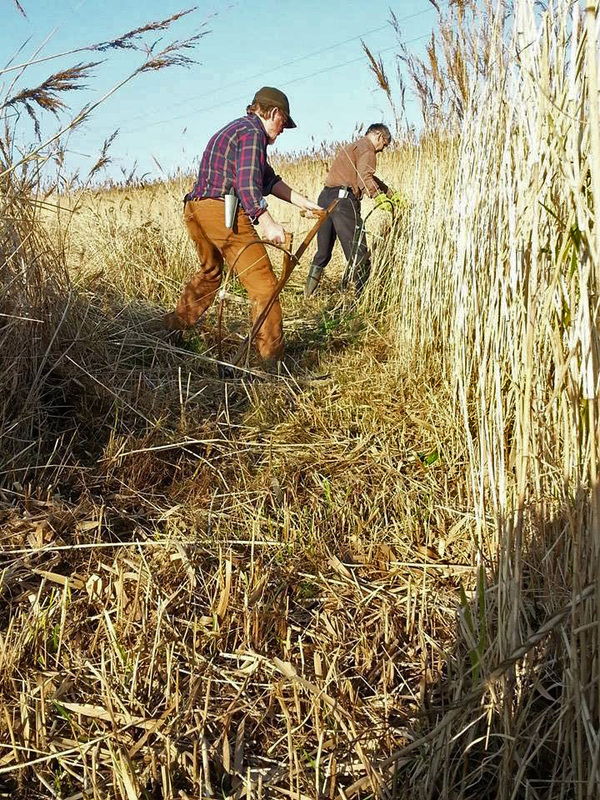 Volunteers and scythers over the weekend were able to dress bundles of reed (combing out leaf litter and debris to leave clean reed straws) to take away for home projects.